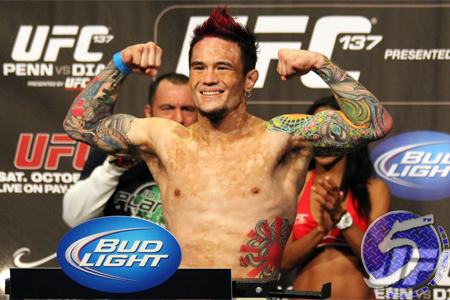 After losing three of his past four fights at bantamweight, Scott Jorgensen (pictured) has decided a change of scenery is in order. The seven-year veteran will drop to flyweight and face Ian McCall at UFC on FOX 9. The UFC announced the scrap Tuesday via Twitter. Jorgensen was last seen getting submitted by Urijah Faber in April. Prior to that, “Young Guns” submitted John Albert for his only victory since 2011. McCall has had a rough go since the UFC created the 135-pound division. After a controversial draw with Demetrious Johnson in his big league debut, he dropped a convincing decision defeat in their immediate rematch. “Uncle Creepy” then lost to Joseph Benavidez, but finally righted the ship last month by beating Iliarde Santos.